To post this Grand Finale and add your Social Media to the Rafflecopter, email us at PrismBookTours(at)gmail.com with "Death by the Book GF" in the subject line. Did you learn a little more about Drew Farthering and this suspenseful series? If you missed any of the posts, go back and check them out now! Then go on and enter the giveaway, if you haven't already. There's murders, controversy and destruction going on in this mind blowing read. Derring will captivate you with each page you turn. "You also wont believe who the real killer is." What do you hope readers take with them when they read your books? My books vary widely from series to series, but I would say throughout them all is the theme of forgiveness and reconciliation, that God is a merciful, loving God who never leaves us and who walks with us through every trial and that it is never, never too late to turn to Him. Even though my Drew Farthering books tend to be lighter, fun reads, there is still that element in them. "Julianna Deering has done it again!!! Spectacular!!! I love love love this series and I hope it never ends!!! Drew is absolutely one of my fave all time amateur sleuths- right up there with Hercule Poirot (not an amateur, I know) and Miss Marple. Who wouldn’t fall for a man who smelled of fresh linen, new books, tea and honey?!?" In choosing my top ten favorite mystery novels, I couldn't possibly go farther than my trio of favorite authors from the Golden Age of Mystery: Agatha Christie, Margery Allingham and Dorothy L. Sayers. About how much time does it take to design a cover like this? "I loved this book! As soon as I started reading it, I knew it would be hard to put down. I enjoyed everything about it: the time period--1930's, the location--London (Farthering St. John), a compelling mystery (hatpin murderer), an obstinate aunt, humor, polite society and a light, clean romance." I am often asked why I started writing my Drew Farthering mysteries. It all came about because I love to read Agatha Christie and Margery Allingham and Dorothy L. Sayers, the queens of the golden age of crime fiction, the 1920s and '30s. Their famous detectives (Poirot, Campion and Wimsey, respectively) are a delight to read. And the BBC has filmed versions of many of their novels which are always a sumptuous treat. After enjoying the genre for so long, I simply had to try my hand at writing it. There was a little spark of mischief in his gray eyes that she had already come to know so well. Surely even Aunt Ruth couldn’t dislike him for long. In the weeks Madeline had been here in Hampshire, she had seen him with the older ladies in the village– well, with all the women to be honest. He didn’t intentionally flirt, not really, but he was never lacking in charm, charm that was all the more attractive for its artlessness, charm that made them girlish and indulgent whenever he was around. Madeline turned from the shelf where Mrs. Harkness kept books on lace making and other traditional crafts. I also found Drew an engaging, sympathetic character who sincerely cared about those he was trying to help. 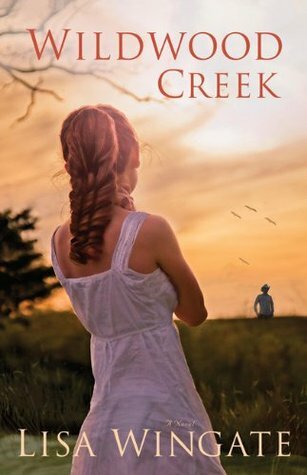 The romance between him and Madeline was sweet and the interfering Aunt Ruth provided a humorous touch. 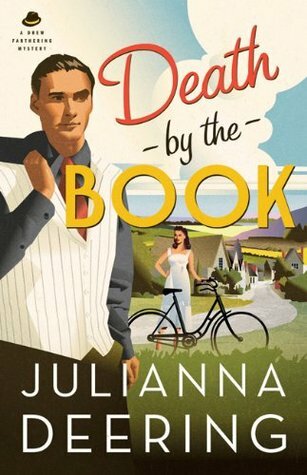 With plenty of unexpected events and suspicious characters, Death by the Book, provides an entertaining and enjoyable read. 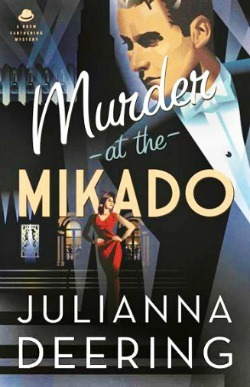 Even though Death by the Book, the second in my series of Drew Farthering Mysteries, is hot off the press right now, I am thrilled to tell you a little bit about Book Three, Murder at the Mikado. After everything that happened during the past summer, Drew is happy to have some peace in his life. His company, Farlinford Processing, is doing nicely under competent, trustworthy management, and his relationship with Madeline Parker is better than ever. Everything is going well until an old flame, Fleur Hargreaves, suddenly makes an appearance at Farthering Place begging for Drew to prove her innocence in a murder case. Roger’s voice was scarcely a whisper, and so broken that Drew knew he wouldn’t have recognized it if he hadn’t known who it was. Drew heard a wrenching sob, then silence once more. 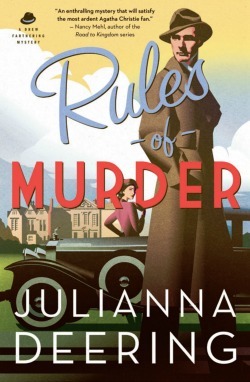 "Julianna Derring did a remarkable job of weaving a wondrous murder mystery set in England around the late 1920's. It kept me reading into the wee small hours of morning to find out if my suspicions of who the killer could be were right or not." Julianna Derring has always been an avid reader and a lover of storytelling, whether on the page, the screen or the stage. This, along with her keen interest in history and her Christian faith, shows in her tales of love, forgiveness and triumph over adversity. A fifth-generation Texan, she makes her home north of Dallas with three spoiled cats and, when not writing, spends her free time quilting, cross stitching and watching NHL hockey. 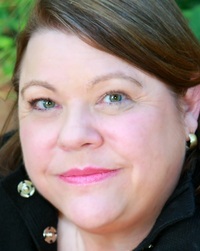 Her new series of Drew Farthering mysteries set in 1930s England debuts with Rules of Murder (Bethany House, Summer 2013) and will be followed by Death by the Book (Bethany House, Spring 2014) and Murder at the Mikado (Bethany House, Summer 2014). especially if it's fresh from the hive. Mrs. Devon, his housekeeper, spoils him terribly and makes sure he has it. Congrats on the new release! It sounds like a great mystery. I like my tea with lemon and a little sugar. Honey and a sprinkle of cinnamon for me.